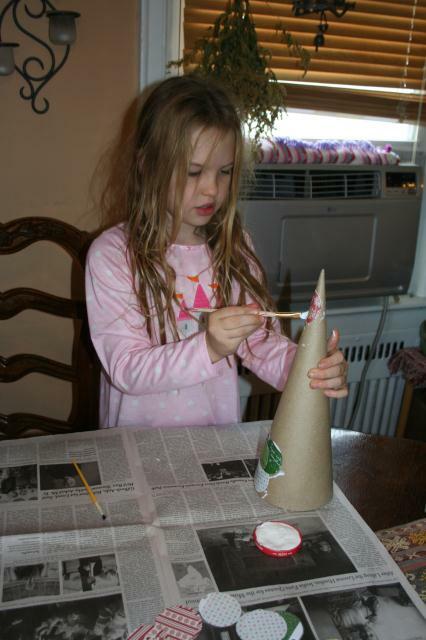 I love the fact that Stella likes to do crafts with me and that this year she has been busy making presents for her friends and relatives. 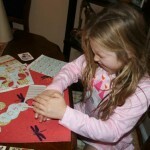 She truly is growing up and wanting to “give” to others and the best part is that she is using her creativity! 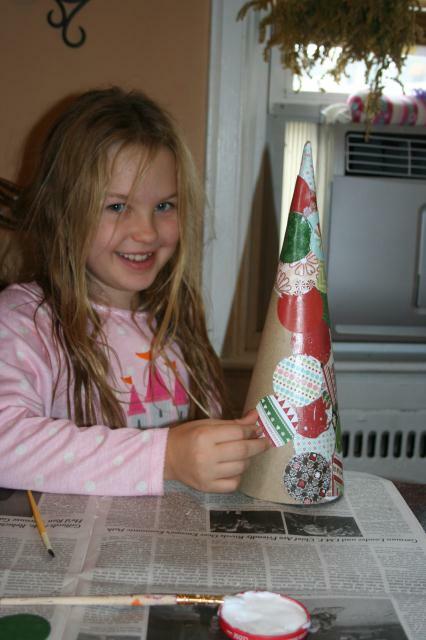 This past weekend we made wonderful paper decoupage Christmas trees and Stella wants to make more! They are fun, easy, festive and won’t break the bank. 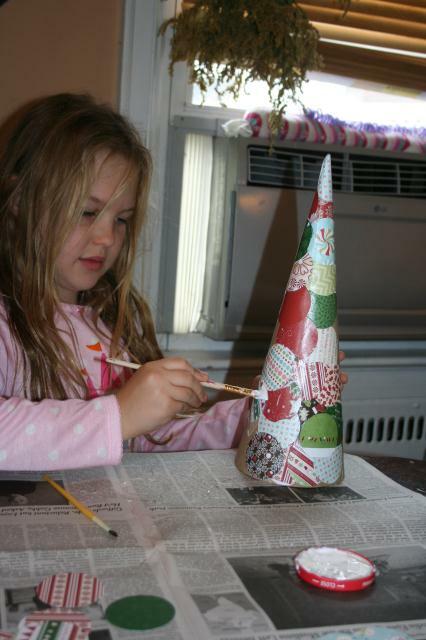 We put a holiday CD on and went to crafting. A couple of notes: For the paper you could use old holiday cards, wrapping paper or scrap book paper. At the local craft store they were having a sale on the small books of holiday scrap booking paper and I was able to pick up 2 books for around $5. 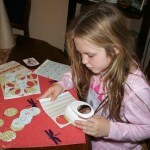 I did invest in a circular lever punch (used in scrap booking) – it saved on time with the cutting of the circles, was on sale and I know that we will get our $7 worth out of it in no time. 1. Cut out circles – depending on the size of your tree will determine how many you need. We cut out many and have some leftover – but they will be used. I love the expression! It really was not that hard to press to cut the circles. 2. 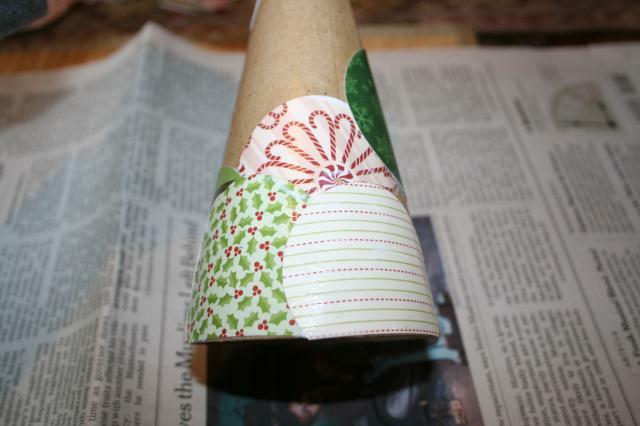 Place newspaper down on your work area, fill a cup with glue and start gluing. 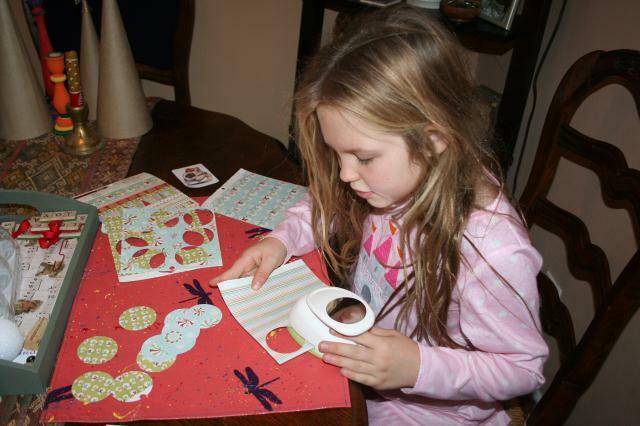 I found that cutting a straight edge on the circles made it easier to do the bottom – Stella just glued them under the bottom edge – either works. 3. 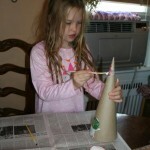 Place the glue on the back of the circle – place on the tree and then brush glue over the top of the circle. Keep doing this with circles until you have covered the entire tree. 4. 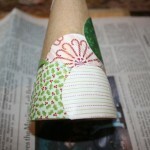 Once the tree is completely covered – do one final coating of the decoupage glue over the entire tree. This was really fun and they look great on our table. 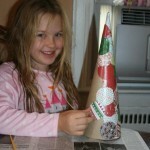 Stella is going to make another one and give them as presents to her teachers. We have some mardi gras beads and still have not decided on whether or not be will decorate the tree some more with them – If so will post a photo. 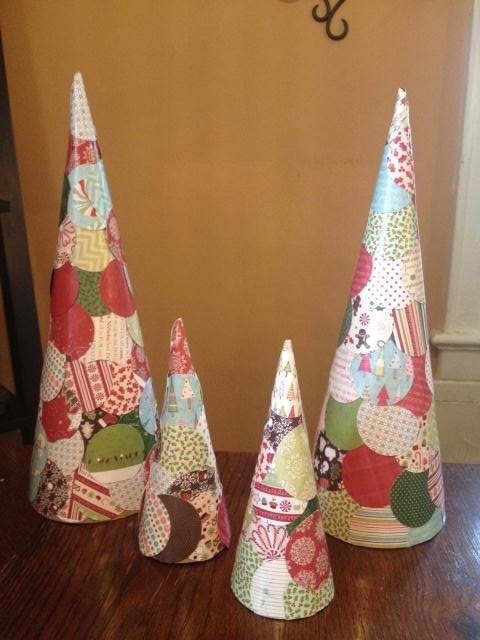 Happy gift making!! 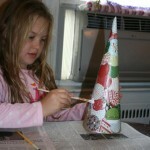 This entry was posted in Kids Crafts and tagged christmas, christmas tree, holiday craft, kids craft. Bookmark the permalink. I too loved the photo with Stella’s expression cutting the circles. 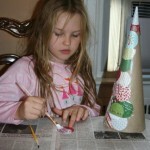 This is such a good kid’s craft!! 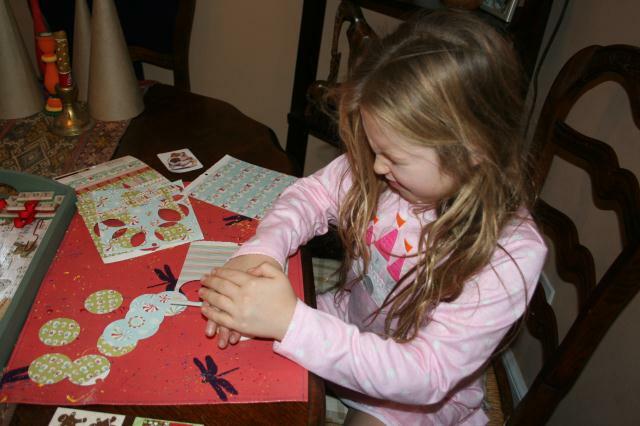 Great to find a use for all those holiday cards that are sent each year! 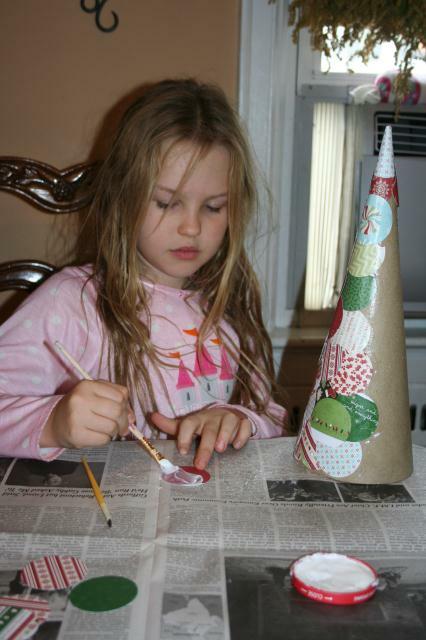 Remember when we made those picture frames for party favors at Stella’s birthday party a few years ago? If you have any left, the stick on “jewels” we used would look pretty on the tree, I bet.